Pushing against commercialism to give us classic American Heavy Metal. 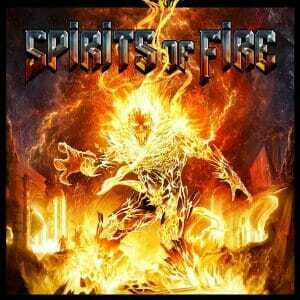 Pseudo-supergroup SPIRITS OF FIRE’s self-titled 2019 debut travels the well-worn, yet, mostly now ignored path of traditional American Heavy Metal. It’s a welcome, often surprising journey. I literally knew nothing of SPIRITS OF FIRE before a cursory internet search. Formed by Roy Z it now holds screamer extraordinaire Tim “Ripper” Owens (a very busy boy these days), SAVATAGE/TSO Guitarist Chris Caffery, TESTAMENT Bassist Steve Di Giorgio (also Owens’ bandmate in CHARRED WALLS OF THE DAMNED), and ex-FATES WARNING Drummer Mark Zonder. A rather phenomenal pedigree. Spirits of Fire, let the burn begin. Eschewing the trend of 21st century acts shifting all Modern these guys forge ahead playing mostly old-school Metal. The musicianship is unquestionably solid, led by Caffery’s shredding riffs and Owens’ acrobatics. Ripper Owens has resolutely risen above and beyond his rather Spinal Tap-ish JUDAS PRIEST era origins and showcases a vicious, varied soar throughout. The albums starts strong with a blistering “Light Speed Marching“. Things really heat up with 80s keyboard Prog anthem “All Comes Together” and the raging “Spirits of Fire“, one of the best tracks of the year. However, despite the potent call of “Never to Return” most of the back-half languishes in generic, hookless experimentation. A clean production, strong performances, and a few notable tracks keep SPIRITS OF FIRE’s ‘Spirits of Fire‘ above the fray. And it’s nice to see Caffery in an honest-to-god Metal band again. 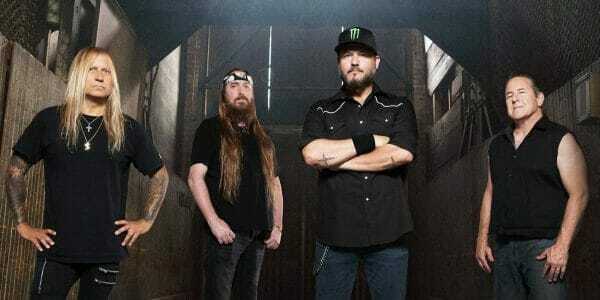 Yet, like fellow supergroup AGE OF APOLLO, a lack of memorable songs holds this tremendous talent back–leaving us with the Metal equivalent of blue balls. With a few stand out cuts, tremendous musicianship, and a classy, classic Metal style this debut is better than many. However, generic songwriting and an unfocused back-half prohibit greatness.